1. How Are Capital Gains and Losses in a 401(k) or Rollover IRA Treated? 2. Do You Pay Capital Gains on a Traditional IRA? For many individuals, saving money for retirement can be difficult. Given the wide array of fiscal responsibilities we all have, it can frustrating to watch our disposable income slip away from us on a regular basis. For many working adults, a pension plan is an excellent tool for slowly growing a retirement fund that will help sustain their quality of life during retirement. 401(k) withdrawals are taxed as regular income rather than as capital gains. With that in mind, you should never be paying capital gains tax on 401(k) withdrawals. A 401(k) is an example of a defined-contribution pension plan, one in which both you and your employer have the ability to contribute funds on a regular basis throughout your working years. 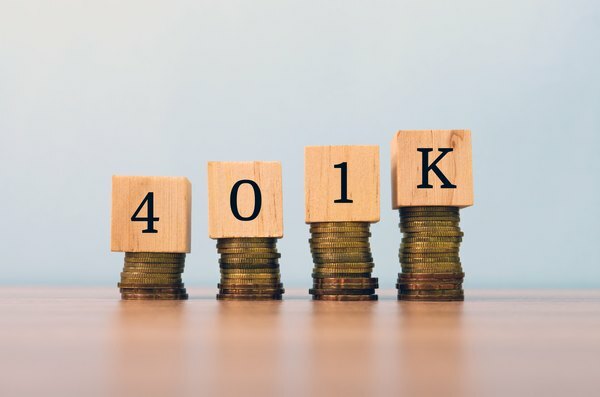 The income you place inside of your 401(k) plan will be pooled into a larger invested fund which, it is hoped, will grow in size over your decades of employment. By the time you retire, you should be able to withdraw funds regularly from your 401(k) to supplement your general retirement savings. When you deposit funds in your 401(k), you are making what is known as a tax-deferred contribution. This means that you will pay taxes on this income once you begin withdrawing it during your retirement years. Understanding how this taxation process works for a 401(k) distribution can help you create a strategic withdrawal plan that ensures you make the most of your retirement savings. As mentioned previously, your 401(k) is broadly classified as a defined-contribution pension plan. In any defined-contribution plan, you and/or your employer can contribute money during your employment. The specifics of your 401(k) contribution plan are usually finalized when you secure full-time work with your employer. Once this plan is established, it will typically remain in place until you either switch jobs or qualify for retirement. Once the funds from you and your employer are placed in the fund, the liability of your employer to provide you with retirement funding ends. Market performance will dictate the size of the benefits you withdraw from your account during retirement, not your employer. A defined-contribution plan differs significantly from a defined-benefit pension plan. In a defined-benefit plan, employees are told that they will receive a specific sum of money upon retirement, regardless of how well their pension fund has performed in the market throughout their working years. In the event that the pension fund does not have enough money to cover the agreed-upon benefits for employees, the company in question is responsible for making up the difference. A large number of public sector employees are attached to defined-benefit plans, while defined-contribution plans make up the bulk of private sector retirement packages. Once you have reached retirement age, you can begin withdrawing funds from your 401(k). According to IRS guidelines, individuals must be 59 1/2 years of age before they can begin withdrawing funds from their 401(k) penalty free. If, for whatever reason, an individual decides to withdraw funds from their 401(k) prior to reaching this age marker, they will be forced to pay a 10 percent early withdrawal penalty on disbursed funds. This penalty will be assessed each time that funds are withdrawn from the account. Although certain exceptional circumstances may result in penalty exemptions, it is by and large the rule that early withdrawals will be heavily fined. Regardless of when you choose to begin receiving your 401(k) distributions, the money that you take from your account is eligible for taxation. Unlike other investment formats, however, funds disbursed from a 401(k) are taxed as ordinary income rather than capital gains. This can prove particularly helpful for individuals who fall below the highest income bracket per IRS guidelines. The income received from your 401(k) will be factored into your annual income and then taxed as other income, both on the federal and state level if applicable. To be clear, there is no such thing as 401(k) capital gains tax. Because of this, you will report any distributions from your 401(k) much like you would standard income. With this in mind, you will use the standard IRS Form 1040 to report any withdrawals from your 401(k) account you have made throughout the year. Regardless of whether or not you have made early withdrawals or have adhered to the requirements set forth by the IRS for penalty-free withdrawals, IRS Form 1040 will document this activity and ensure that the IRS has the information they need to properly assess your actions. As stated previously, your 401(k) income should, under no circumstances, be counted as investment income. Failure to report your 401(k) withdrawal correctly could result in a variety of fines and penalties. With that in mind, you should take the time to properly explore all of the reporting requirements regarding your 401(k) before you begin completing your year-end tax return. If you have additional questions about your 401(k), you should take the time to discuss your particular concerns with a financial expert or retirement advisor. These individuals can help you assess the various facets of your pension plan and ensure that you have the information you need to make smart decisions regarding contributions and withdrawals alike. It may also be in your best interest to discuss your 401(k) plan with your employer in order to determine if any employer contribution matching is available. Contribution matching is a common opportunity offered by many employers that ensures that the original contribution made by the employee is then duplicated by their employer. As you can imagine, employer matching helps ensure that funds grow twice as fast within the plan. If you are newly employed or simply have yet to spend time exploring your options regarding your pension plan, you can start down the path toward a sound retirement strategy as soon as you are ready. On a final note, you should also regularly check the performance of your 401(k) to determine where you are on the retirement path you have established. Given the fact that your 401(k) is influenced by market trends, volatile market activity could both positively and negatively affect your retirement savings. Understanding how the market can affect this pool of funds will help ensure that you are fully prepared to confront any troubling economic times and keep close tabs on your retirement savings. More information concerning the relationship between 401(k) performance and general market activity can likely be obtained by visiting with your investment advisor. In many cases, a simple internet search can also reveal a trove of helpful information.